At this time of year, people swarm malls, battling each other and frantically buying presents for all those on their list. Regardless of how stressful it may be and how little those on the list may need what they’re being gifted, the cycle continues year in and year out. This year, I ask you to consider an alternative. There are many ways you can still acknowledge those you care for, while making a difference to those in real need. 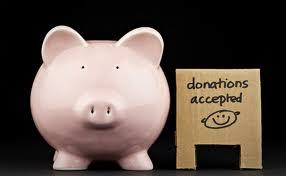 Charitable giving is what I have in mind, but the number of causes and options can be overwhelming. So where to start? 1. Ask yourself what you’re passionate about. The environment? Social justice? Health? Community building? Children? Something else? 2. Determine where you’d like to affect change. In your neighbourhood? Your city? Country? The sky’s the limit? Links like justgive.org, charitynavigator.org and charityvillage.ca can help define the options. 3. Double check the options. Once you’ve identified a few causes and organizations, check that they are registered charities. In Canada you can verify them here. I would love to hear about the causes that interest you. Please share your ideas with the Big Little Life community. You may inspire others to give to the cause as well!